In the High Country we know our community’s well-being and prosperity is tied directly to the health of our river. 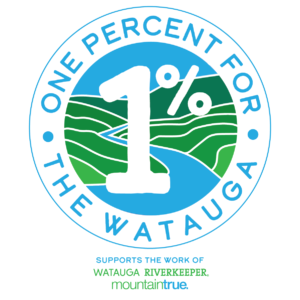 Through One Percent for the Watauga, local businesses give back by donating part of their proceeds to help fund the work of the Watauga Riverkeeper – a program of MountainTrue and the protector of the Watauga River Watershed. The Watauga Riverkeeper keeps our rivers safe for our families to paddle and play. We run a volunteer water monitoring program at 13 sites throughout the High Country, organizes regular river cleanups to rid the river of litter and trash, and serves as the first line of defense against pollution and other river threats. It might sound intimidating, but it’s something any business can do. Some businesses are going all in by donating one percent of all profits, others are simply donating one percent of a specific product. Every dollar counts. Businesses participating in the initiative proudly display a decal on their shop window or water vehicles. 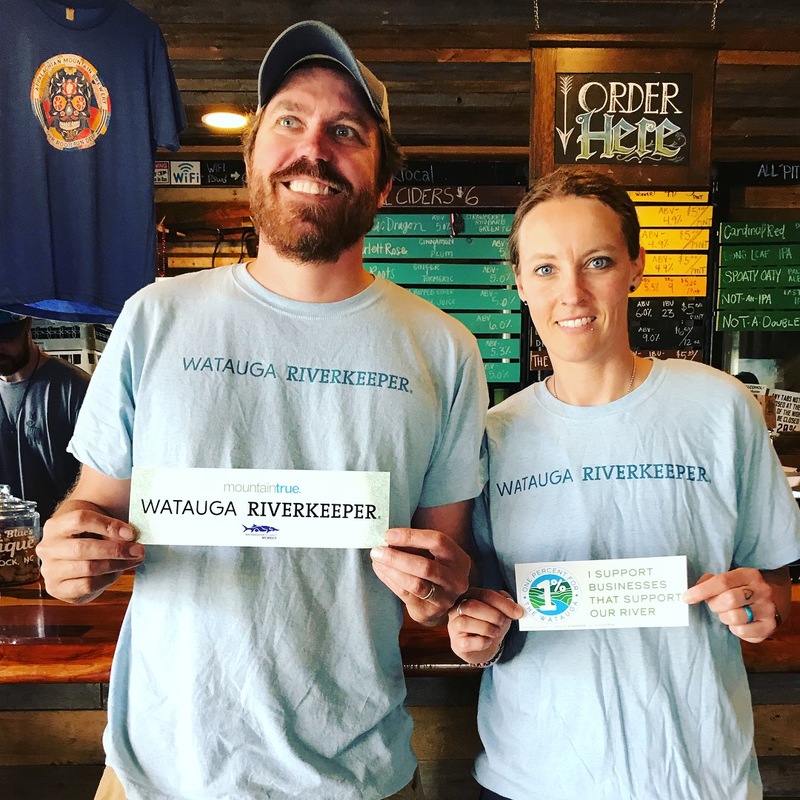 Customers who want to show their support for the program can get a decal with the logo that proudly states “I Support Businesses that Support Our River” at participating businesses.